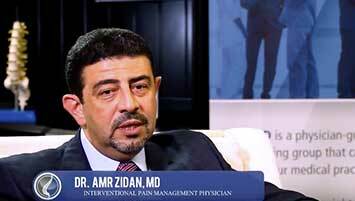 Dr. Amr Zidan is an American Board Certified Physician in Anesthesiology with a Subspecialty Board Certification in Pain Management and has an added certification in Fellow of Interventional Pain Physician (FIPP). He graduated from Ain-Shams University School of Medicine in 1990 after which he finished his first residency and earned a Master’s degree in Obstetrics and Gynecology. Dr. Zidan then successfully completed his second residency in Anesthesiology and his fellowship in Pain Management at the University of Texas Medical Branch (UTMB) in Galveston Texas. At UTMB Dr. Zidan also served as Chief Resident, Assistant Professor of Anesthesiology and Pain Management, and Assistant Director of the Operating Rooms. In 2004, Dr. Zidan moved to the UT Southwestern Medical Center and served as Director of the Pain Management Fellowship. Later, he also was the Director of the Operating Rooms and Perioperative services at the Dallas VA Medical Center followed by Chair of Department at Tawam Hospital in UAE. Currently, Dr. Zidan is an Assistant Professor at Johns Hopkins Hospital. 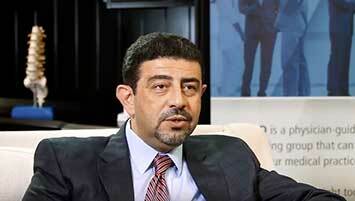 Dr. Zidan has multiple publications and research projects. 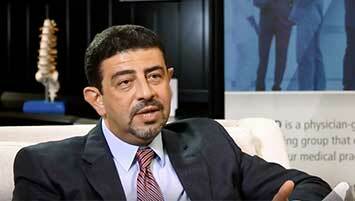 He has given multiple lectures and taught various courses in the field of Anesthesia and Pain Management. 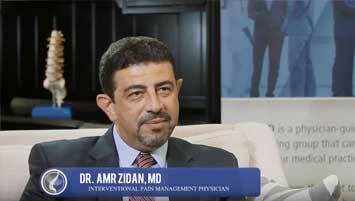 Dr. Zidan is an active member of several American and International Medical societies.